Roadrunner, Beep! Beep! – If Animals Could Talk . 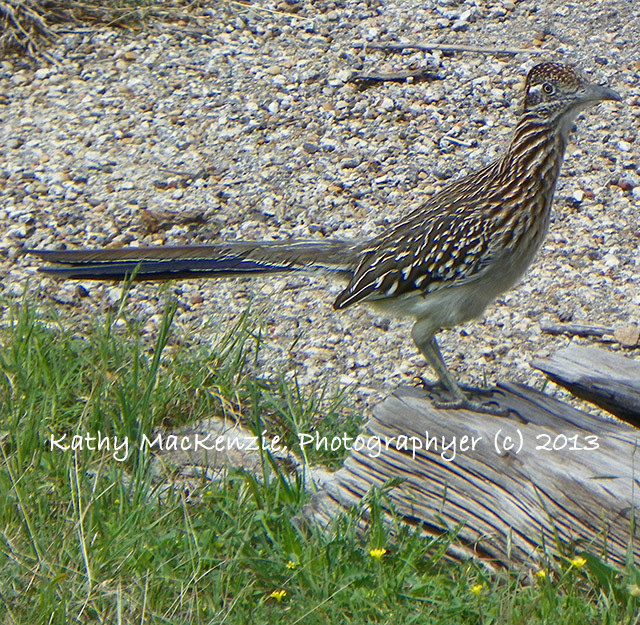 . .
Have you ever been within an arm’s reach of a roadrunner? As a kid growing up in Michigan, the only roadrunner I’d ever seen was on the Roadrunner and Wile E . Coyote cartoons. Even though I relocated to the Southwest decades ago, I’ve still only seen roadrunners occasionally when they run across the road in front of me while I’m driving out in the country. But last week, I had a rare experience. 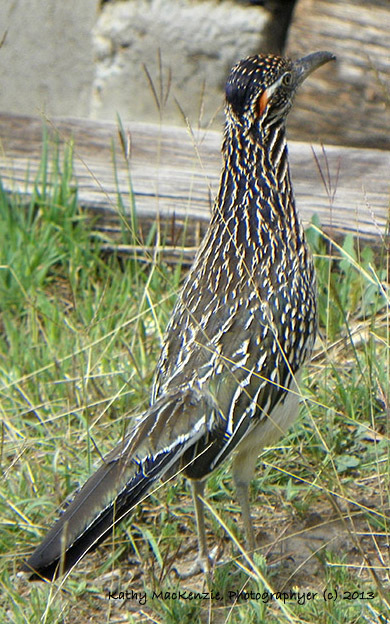 When I walked toward my sliding glass door, there stood, peering in, gazing at my cat’s food dish, a full grown roadrunner! This bird, a member of the Cuckoo family, seemed intent on figuring out a way to get to the food, until he saw me. We stared at each other for several moments, sizing each other up, until he quickly scampered up the rocky incline behind my home and disappeared among the cedar trees. I continued watching to see if he would come back, but he didn’t. And thankfully, Wile E. Coyote didn’t make an appearance! Kathy MacKenzie is an animal photographer and owner of Feather of Fur Pet Photography. 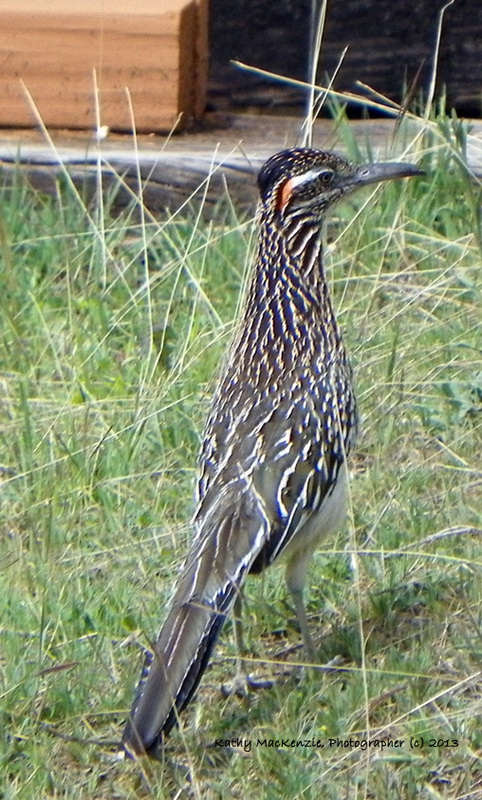 This entry was posted in animal photographs, Birds and tagged road runner, Roadrunner. Bookmark the permalink.